Many owners of upscale or high end businesses are trying to reach more customers. 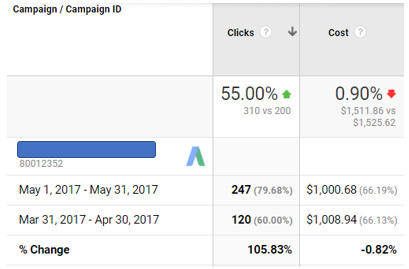 One client recently was working with a vendor who was buying website traffic via Google AdWords but was frustrated with the types of leads they were getting. The client is an arborist. They’re the best at what they do in their local market. And they’re the most expensive. The vendor had set them up with Google AdWords and was quite proud of how many clicks they were getting, their average position and the number of calls. The problem is the type of clicks and calls they were getting were largely tire kicking price shoppers for their least profitable service (tree removal) when what the client wants is customers who want to preserve and care for their trees. Wrong kind of traffic. Wrong kind of leads. The majority of the keywords they were paying for were related to “tree removal”. And while the client wants some tree removal business, it’s on the low end of their priority scale from a customer standpoint. Those tend to be one time customers who are price sensitive. 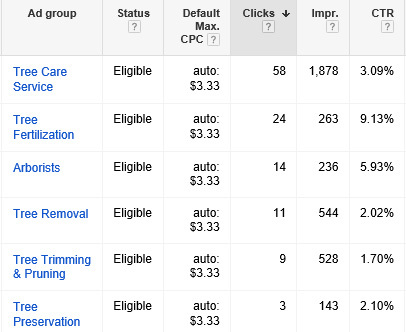 Tree removal is still on there, but it gets much less traction than the other keywords do now. Can you guess what the result has been? Yep…an increase in the number of high quality leads for the type of service they really want to sell. The reason? We doubled the number of clicks they were getting for the same budget, and those clicks tend to be more of the types of customers they’re looking for. So next time a vendor tells you how much traffic you’re getting, ask them what it’s for. Ask to see the keywords. Or if you’re doing it on your own, allocate your budget towards the types of keywords which will attract the right type of client. Experiment with your campaign so you can test your theories and see for yourself what works and what doesn’t. All traffic is not created equal. Especially when it comes to selling a premium product or service. Make sure the kinds of business your advertising is bringing in bringing supports your high end or premium product or service.